Past generations of industrial development and chemical production are still very much with us-through contaminants they've left in all phases of the ecosystem. Especially vulnerable to this damage: water. Professionals from various disciplines in environmental sciences are becoming increasingly involved in water quality issues. The Manual of Bioassessment of Aquatic Sediment Quality now provides the most current techniques and methods, in the laboratory and the field, to detect and evaluate aquatic contaminants. Designed to complement the analytical methods presented in the companion volume, Manual of Physico-Chemical Analysis of Aquatic Sediments, the Bioassessment edition offers a comprehensive review of chemical forms, encompassing different elements and compounds in sediments, along with evaluation of their availability to aquatic biota. A discussion about the use of reference materials in sediment analysis also accompanies a review of laboratory safety measures. While greater environmental conscientiousness has led to sustainable industrial development and the recycling of materials, there remains the "hidden need" to remediate contaminated water sources throughout the world-essential to the continued survival of all life. 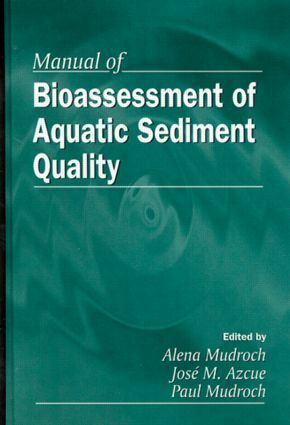 The Manual of Bioassessment of Aquatic Sediment Quality will help environmental professionals ensure the protection of life-supporting streams, lakes and oceans throughout the world.